Heavy machinery is working on Jindee estate in Jindalee. Picture: Martin Kennealey. WITH construction underway, a Jindalee developer has warned members of the public not to entire the Jindee estate site. Estates Development Company issued the warning for people to take extra care after heavy machinery started operating on the Marmion Avenue site. Project manager James Blitz said the company was working closely with the earthworks contractor to ensure public safety. Their efforts include installing fences around the work site and signage to warning people of the dangers of entering the site. “The land now under development has for many decades been used by members of the public for recreational activities like bush walking, exercising dogs and four wheel driving,” Mr Blitz said. 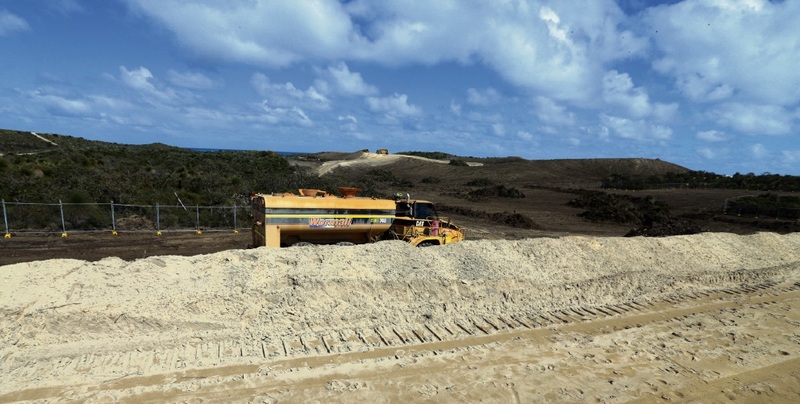 “It is important those users understand that this area of land is now an active construction site including the use of heavy earthmoving vehicles and other potential hazards. Call 1300 546 333 or email infojindee@estates.com.au for more.